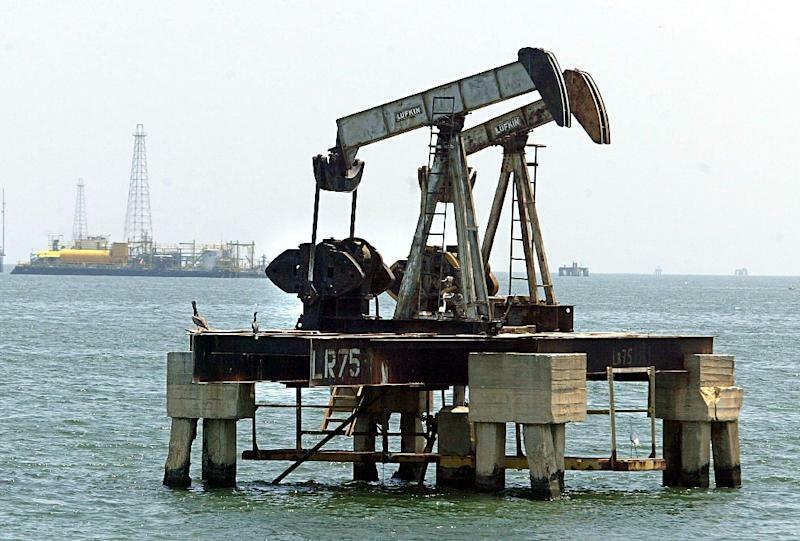 Oil prices gained Thursday after the US benchmark slid below $50 a barrel following reports Russia could join a production cut at next month's OPEC meeting. The gains in petroleum prices came on a mixed day for global stocks as traders worldwide weighed Federal Reserve comments that were widely seen as dovish on monetary policy. Robust petroleum supply and a weakening global economic outlook have weighed on oil prices since early October, pushing US benchmark West Texas Intermediate below $50 a barrel for the first time in more than a year. But oil prices reversed following reports that Russia could join Saudi Arabia and other producers in cutting output at a December 6 Vienna meeting to defend prices. Still, analysts view oil prices as vulnerable, with some skeptical that action from OPEC will be substantial enough to boost prices. "The oil market is clearly not 100 percent convinced that the OPEC+ will cut supplies next week but the pressure is certainly building as prices continue to fall amid ongoing concerns over excessive supply and lower demand growth," Forex.com analyst Fawad Razaqzada told AFP. European stocks finished mostly higher as investors took a speech by Federal Reserve Chairman Jerome Powell to mean the central bank might not raise interest rates much higher, a shift from earlier statements seen as more hawkish. Fed minutes released Thursday showed the US central bank still expected to hike rates again in December. But policymakers may be divided over what to do after that, with some worried that raising rates after December could "unduly slow" the American economy, just as signs of vulnerability are beginning to gather, the minutes showed. US stocks finished modestly lower, ending a three-day winning streak. Investors meanwhile remained wary ahead of the weekend's crunch trade talks between US President Donald Trump and China counterpart Xi Jinping at the G20 summit in Buenos Aires. Among individual stocks, Deutsche Bank dropped 3.4 percent after German prosecutors raided several bank offices in Frankfurt over suspicions of money laundering based on revelations from the 2016 "Panama Papers" data leak. Another big German company, Bayer, shed 0.7 percent following an announcement it will slash 12,000 jobs in a major restructuring following the mammoth takeover of Monsanto, enabling it to save 2.6 billion euros ($3 billion) a year from 2022.